(Miami, Fla., January 25, 2018) — Jack Nicklaus® Apparel, developed by global fashion leader Perry Ellis International, announced the launch of its Fall18 Black Label collection. 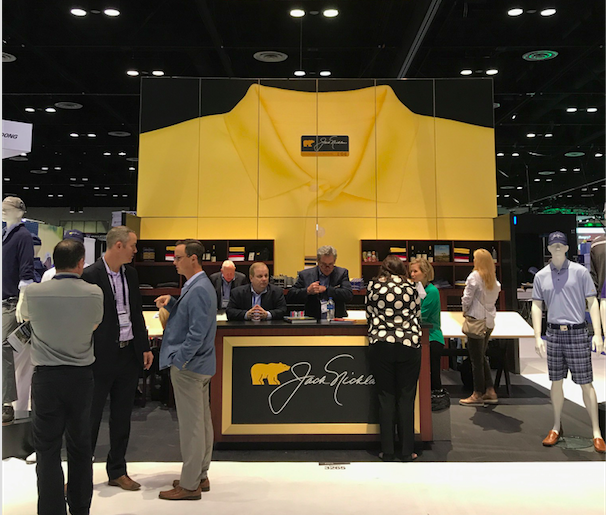 All of the Jack Nicklaus® collections Blue, and Black labels can be viewed at the PGA Merchandise Show in Orlando at booth No. 3265, Wednesday through Friday, January 24 to 26. The Nicklaus Companies are dedicated to promoting excellence in the game of golf, preserving its greatest traditions, and growing the game. For nearly 50 years, its mission has been to enhance the golf experience, and to bring the national and international consumer; golf-related businesses and services that mirror the high standards established in the career and life of record 18-time major champion and golf course designer Jack Nicklaus. Nicklaus-branded products have been marketing worldwide since 1962. Jack Nicklaus® Apparel is available in several markets worldwide, including domestically at high-end green grass pro shops. In addition to apparel, the Jack Nicklaus and Golden Bear-branded lifestyle collection of products also includes: ice cream; restaurants; beverages; wine; golf academies; home appliances; flooring; cabinets; footwear; and golf equipment. Products and services also include golf course design and the development of golf and real estate communities. For more information on the Nicklaus Companies, please visit http://www.nicklaus.com.